Way back in July of 2011, we first told you about told you about the the extremely high levels of arsenic found in Mott’s Apple Juice. Then in September Dr. Oz and his team, ran their own tests and found that it was true; most apple juice brands contained more arsenic than the EPA deems safe in drinking water. Those first two rounds of tests encouraged Consumer Reports to run their own testing and just this week they found that, yet again, far too many juice brands contain unsafe levels of arsenic. Consumer Reports notes that this newest round of testing has prompted the organization to call for government standards to limit consumers’ exposure to these toxins. Right now, there are set federal limits about how much arsenic and lead can be in both bottled and drinking water but there are absolutely zero limits set when it comes to juice. Consumer Reports is concerned because a recent poll they conducted showed that juice is a mainstay of many children’s diets. The Consumer Reports research included an analysis of the National Center for Health Statistics’ National Health and Nutrition Examination Survey (NHANES) database along with interviews of physicians and authors of peer-reviewed studies, all of which shows that chronic exposure to arsenic and lead, at levels even below federal standards for water, can result in serious health problems. Young children and babies in the womb are more at risk for these health issues due to their smaller, still developing bodies. That said, Consumers Union, the advocacy subgroup of Consumer Reports, thinks that the FDA’s “level of concern” regarding arsenic in juice is inadequate to protect public health and is urging the FDA to set a more protective standard of 3 ppb for total arsenic and 5 ppb for lead in juice. According to Consumer Reports, this isn’t a stretch by any means, as 41% of juice tested already meets such safety standards. Image by topfer via sxc. However, Consumer Reports points out that the FDA tests very little juice, in comparison to what’s actually being ingested by kids and the FDA “safe” levels don’t take into account arsenic’s well-established cancer risks. All-in-all, Consumers Union notes that the FDA already has the scientific data it needs to set safer juice standards, they simply won’t. It’s depressing that yet again the FDA is ignoring consumer health organizations, public health advocates and parents who want safer standards for kids. Maybe we should have the American Chemical Council send them a memo? For now, all parents can do to make a difference is to avoid juice companies who allow high levels of arsenic in their juice. See Consumer Reports’ test results (pdf). Another smart solution? Stop giving kids so much juice, especially apple juice. According to a recent Consumer Reports’ poll, kids are drinking a lot of juice: 26 percent of toddlers and 45 percent of children ages 3 to 5 drink seven or more ounces of juice a day. Yet, kids under 6 years old shouldn’t be drinking more than four to six ounces each day. The problems of sugar-filled fruit juices go beyond arsenic in apple juice – too much juice can contribute to juvenile diabetes, childhood obesity and a lot of wasteful packaging heading to landfills. Lead image by geoX via sxc. There's arsenic in the fluoride chemicals added to water supplies. Yet, no seems to care about that. Fluoride isn't even required to make the water healthier. It's added to treat people. Fluoride is a tooth decay drug. Tell you local officials to stop adding unnecessary, health-robbing, arsenic-laced fluoride chemicals into your body via the water supply. NSF International is the private company that regulates public water supply additives. Here's its fluoridation chemical facts: www.nsf.org/business/water_distribution/pdf/NSF_Fact_Sheet.pdf Dr Oz�s kids are fluoride-free. So should yours be. Why the shock? 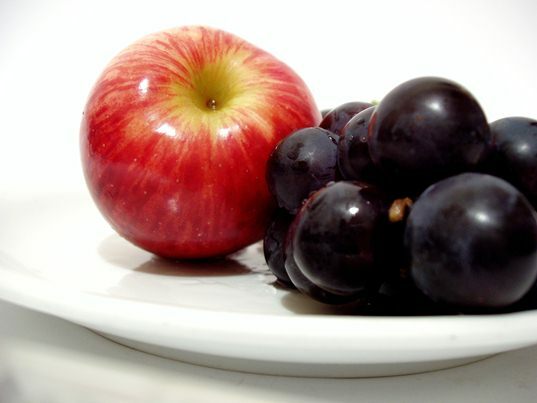 It has been known for many years that apple seeds contain arsenic. The manufacturers of the apple juice grind the whole apple to press the juice out. The arsenic has to get into the juice. BTW-Watch when you buy juice in the grocery store. 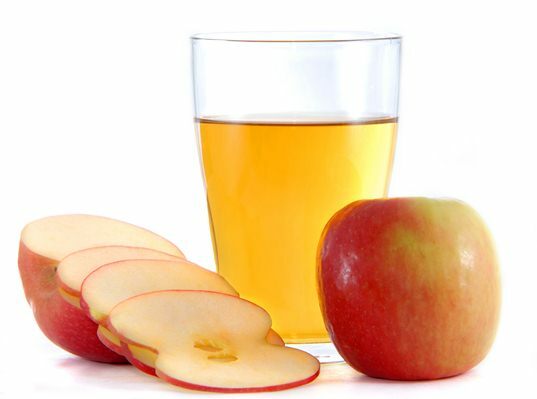 Many, many juices and juice blends are mostly apple juice. @bobg While "many, many juices and juice blends are mostly apple juice". The 'Apple Juice Concentrate' is mostly from China. Thanks to inhabitots for posting the consumer reports link! Way back in July of 2011, we first told you about told you about the the extremely�high levels of arsenic found in Mott�s Apple Juice. Then in September�Dr. Oz and his team, ran their own tests and found that it was true; most apple juice brands contained more arsenic than the EPA deems safe in drinking water. Those first two rounds of tests encouraged Consumer Reports to run�their�own testing and just this week they found that, yet again, far too many juice brands contain unsafe levels of arsenic. Consumer Reports notes that this�newest�round of testing has prompted the organization to call for government standards to limit consumers� exposure to these toxins.�Right now, there are set federal limits about how much arsenic and lead can be in both bottled and drinking water but there are�absolutely�zero limits set when it comes to juice. Consumer Reports is concerned because a recent poll they conducted showed that juice is a mainstay of many children�s diets.